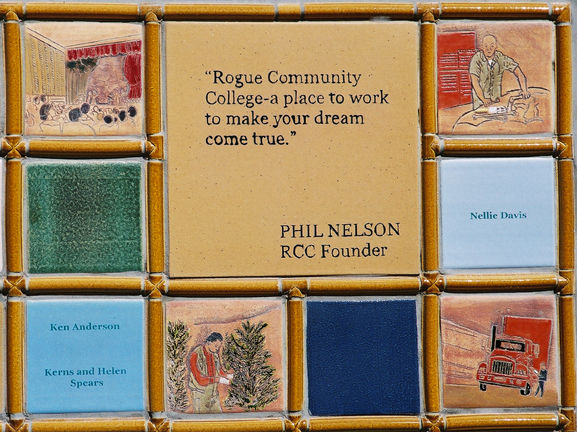 The Rogue Community College Foundation selected Susan Springer to create two Donor Recognition walls for the two campuses in Southern Oregon. 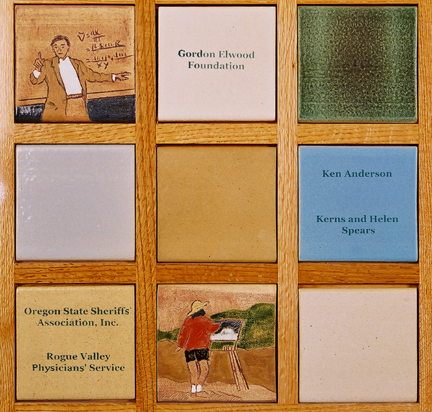 In the lively, colorful style of Illahe Tileworks, each of the donor recognition walls contains a central panel depicting the RCC logo, surrounded by the names of individual and corporate donors. 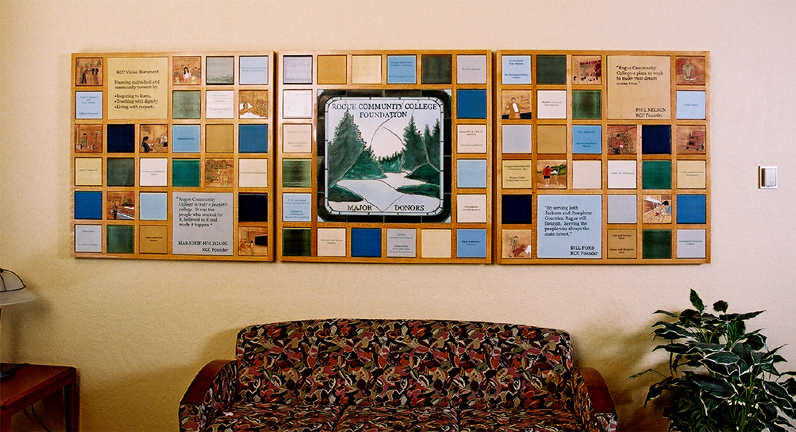 Also included are tiles representing the various academic and vocational programs of the college. The donor recognition walls are beautiful and permanent additions to the RCC campuses and are easily accessible for viewing by all. At the Riverside Campus in Medford Oregon, the tiles are set in an oak frame just inside the entrance of the main building. 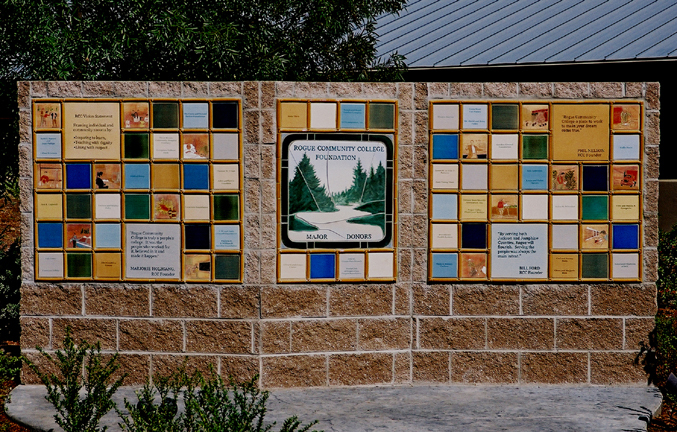 At the Main “Redwood” campus, located in Grants Pass, Oregon, the free standing cement block wall is located at the center of the campus. Featuring quotes by the four central founders, the wall stands to recognize and honor the major donors to the school.